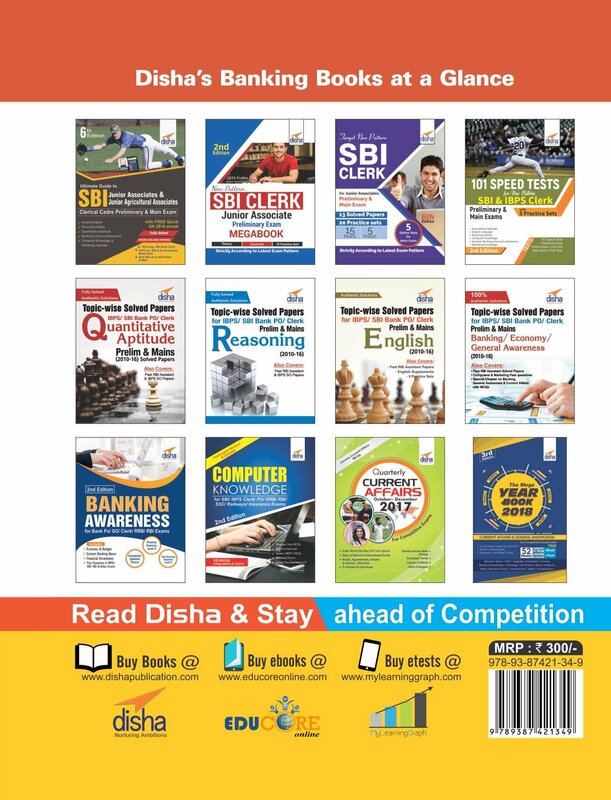 25 Practice Sets for New Pattern SBI Clerk Preliminary Exam is written exclusively for the New pattern Prelim Exam being conducted by SBI. The book provides 25 Practice Sets for the Preliminary Exam with all the variety of New Pattern questions. Each Test contains all the 3 sections - Reasoning Ability, Numerical Ability and English Language - as per the latest pattern.